The Original 18 g Protein, Gluten-Free, Non-Dairy, Vegan Nutrition Bar. 14 Nutritional needs. One delicious bar. Since 2001, we've been producing high-quality, all natural, 40/30/30 nutrition bars that offer great taste without all the additives and sugar that are often included in other "nutrition bars". 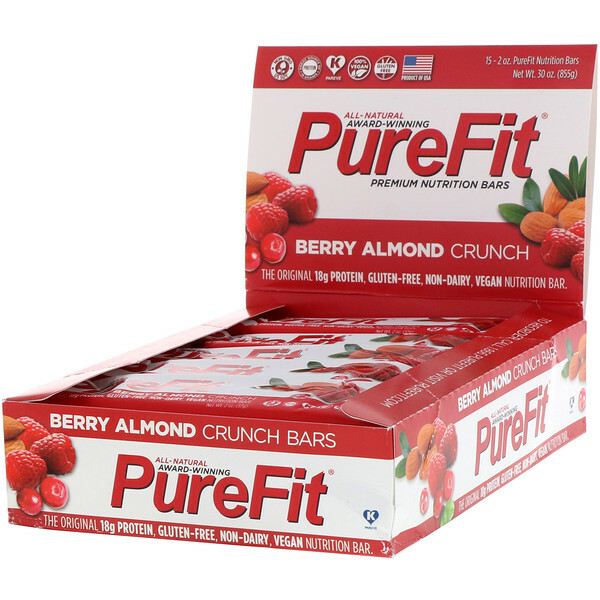 PurefFit bars do not contain dairy, wheat, gluten, artificial sweeteners, hydrogenated oils, or trans fats, so they offer a sound nutritional choice. 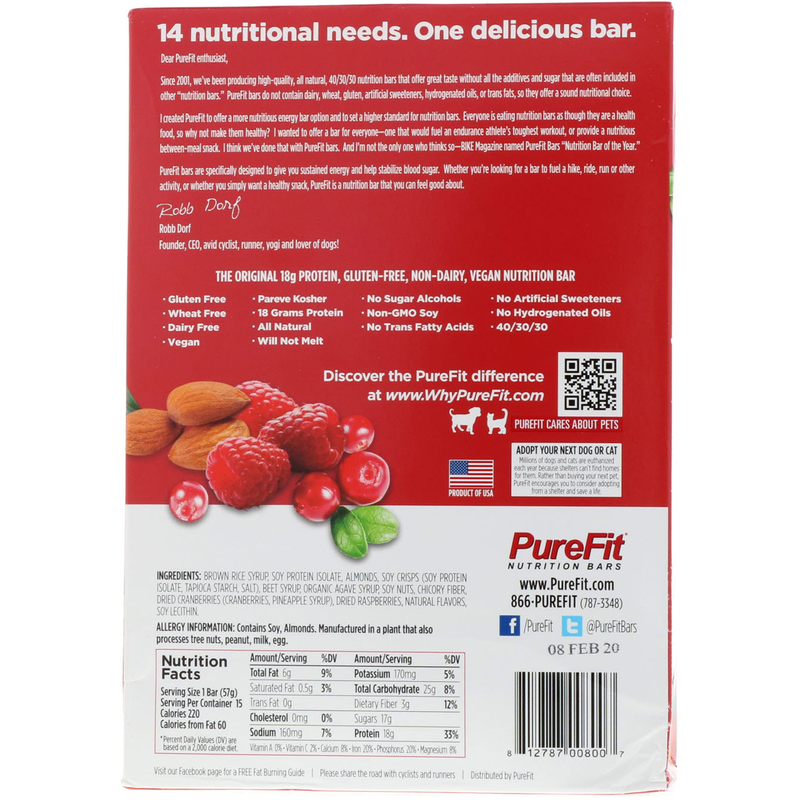 I created PureFit to offer a more nutritious energy bar option and to set a higher standard for nutrition bars. Everyone is eating nutrition bars as though they are a health food, so why not make them healthy? I wanted to offer a bar for everyone-one that would fuel an endurance athlete's toughest workout, or provide a nutritious between meal-snack. I think we've done that with PureFit bars. 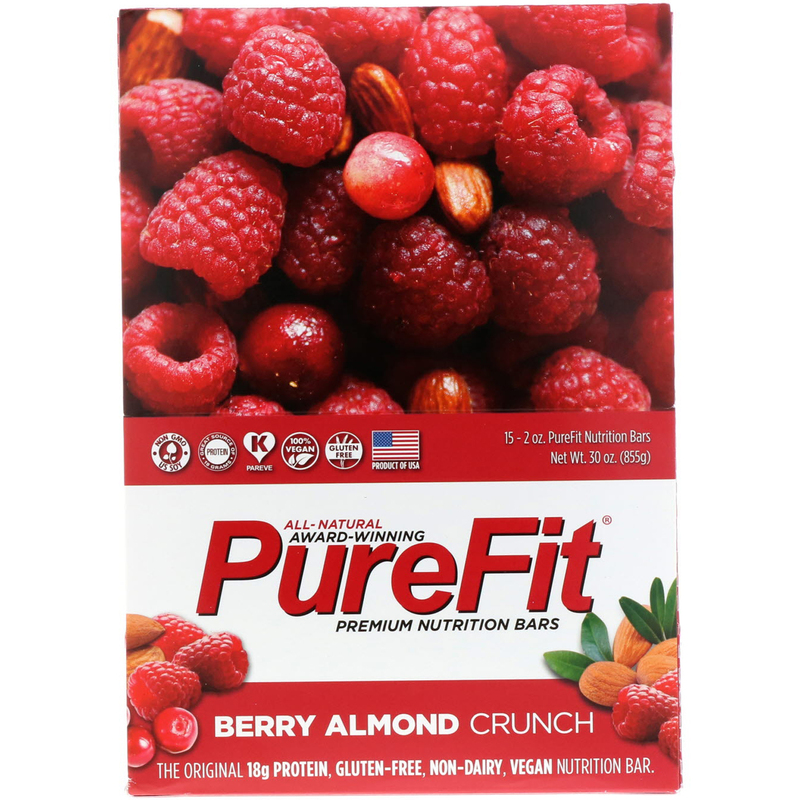 And I'm not the only one who thinks so-BIKE Magazine named PureFit Bars "Nutrition Bar of the Year". PureFit bars are specifically designed to give you the sustained energy and help stabilize blood sugar. Whether you're looking for a bar to fuel a hike, ride, run or other activity, or whether you simply want a healthy snack. 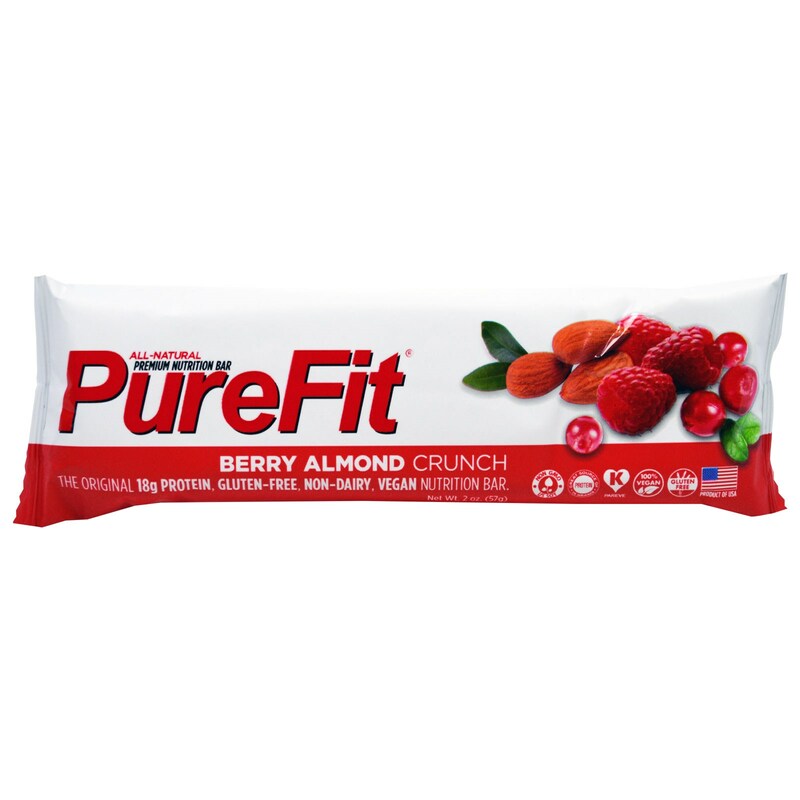 Purefit is a nutritional bar that you can feel good about. Founder, CEO, avid cyclist, runner, yogi and lover of dogs! Brown rice syrup, soy protein isolate, almonds, soy crisps (soy protein isolate, tapioca starch, salt), beet syrup, organic agave syrup, soy nuts, chicory fiber, dried cranberries (cranberries, pineapple, syrup), dried raspberries, natural flavors, soy lecithin. Allergy information: Contains soy, almonds. Manufactured in a facility that also processes tree nuts, peanuts, milk, egg.